With tall ceilings and a great location in the building, this condominium is being sold furnished and ready to rent or live. From the living room you’ll enjoy a direct ski area view while a walkout covered deck serves as a quiet outdoor sanctuary. The kitchen includes a tiered granite countertop and bar seating around the perimeter. With stainless steel appliances and quality wood cabinetry, prepping meals while entertaining is a key ingredient of this superb residence. The master bedroom suite comes with direct access to the deck and a deluxe ceiling fan while a second bedroom down the hall is the perfect sleeping retreat. Adjacent to the main living you’ll find a renovated den that serves as a third bedroom, complete with ensuite bathroom, closet and French doors that offer plenty of privacy. 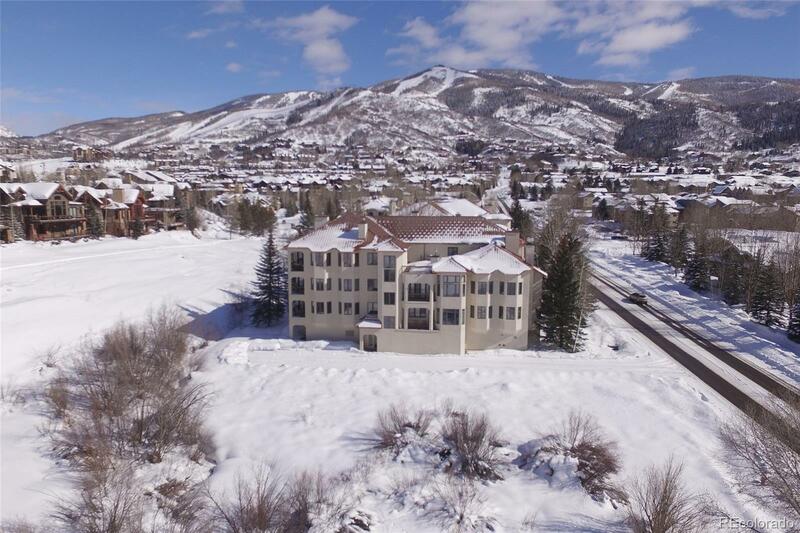 On-site, owners enjoy heated underground parking, a load of additional seasonal storage, year-round outdoor heated pool, hot tub and private shuttle to the slopes.